It's a big day in the Voxox offices because we officially announced our acquisition of the international calling service PokeTALK. We are excited because this acquisition expands Voxox's global footprint and yields new partnerships With Lenovo, Hewlett-Packard, Medion, and other major OEMs. This is important because it enables Voxox to become the existing communication service for users from the instant they open the box, and turn on their new device. PokeTALK enables consumers to make low-cost international calls leveraging features such as VoIP, callback, desktop contact synch and others. PokeTALK's features cater well to consumers who have international calling needs as well as global travelers in that they alleviate inconveniences and reduce costs associated with roaming, a vision that Voxox shares. SAN DIEGO, CA--(Marketwired - Feb 6, 2014) - Voxox®, the most comprehensive cloud-based rich communication service for consumers and businesses, today announced that it has acquired international calling service PokeTALK from E Mobile, Inc. PokeTALK was advised by Source Capital Group, Inc., a boutique investment bank headquartered in Westport, Conn. with expertise in micro-cap growth companies in the energy, utility, and communications markets. Over the next three months, PokeTALK's more than 600,000 registered users will be invited to transfer their existing service to the more comprehensive Voxox service, and receive up to 100 minutes of free talk time. Additionally, PokeTALK will transfer its technology, intellectual property, and partnership agreements with Datawind, Digital Delivery Networks, Inc. (DDNI), Expansys, Hewlett-Packard (HP), Lenovo, Medion, and Samsung Electronics to Voxox. Since 2007, PokeTALK has been enabling consumers to make international calls through Web-based and mobile applications (iOS, Android). The PokeTALK service is also accessible on various tablets and laptops through a link preloaded by the Original Equipment Manufacturers (OEMs). PokeTALK will continue to be supported until the credit of active and paying users is depleted. Meanwhile, PokeTALK users will be invited to download the Voxox app onto their Android, iOS, and desktop computer. "At Voxox, we are continually pursuing our endeavor to make Voxox a seamless part of people's lives all over the world," said Bryan Hertz, CEO and co-founder of Voxox. "Our acquisition of PokeTALK, and the ensuing relationships with OEMs such as Lenovo, enables Voxox to become a de facto communication service for new and existing users from the moment they turn on their new device. This is an exciting new foray for us as it helps to continue the global penetration that Voxox is experiencing in over 200 countries worldwide." The PokeTALK service enables consumers to make low-cost international calls leveraging features such as VoIP, callback, desktop contact synch and others. PokeTALK's features cater well to consumers who have international calling needs as well as global travelers in that they alleviate inconveniences and reduce costs associated with roaming, a vision that Voxox shares. "We are thrilled to join Voxox in its mission to provide the most complete communication service to consumers and businesses across the globe," said Sruli Weinreb, president and CEO of E Mobile, PokeTALK's parent company. "We're confident this will be a smooth transition for our customers, and are excited to provide users with access to Voxox's extensive portfolio of services." 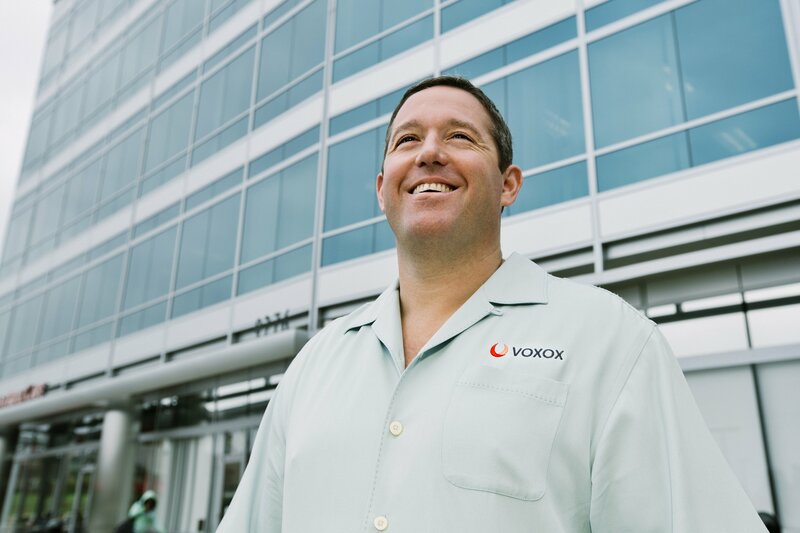 A powerful Over-The-Top (OTT) service, Voxox is revolutionizing the way users communicate. Voxox goes beyond rich communications with an unmatched combination of calling and messaging features that enable users to connect with anyone, anywhere -- regardless of network or calling device. All Voxox-to-Voxox communication is free, as is all inbound communication to Voxox accounts from non-Voxox contacts. Other free and low-cost features include international calling, texting and faxing; real-time language translation; voicemail transcription; free phone number; video and media sharing; map and location sharing; and much more. Voxox also offers business phone systems and wholesale services to SMBs and enterprises. For more information about Voxox, please visit: www.voxox.com.